Bosch’s Two-Wheeler & Powersports business unit continues to gain momentum in the global motorcycle and powersports market. Bosch’s motorcycle technology sales for 2018 are forecasted to rise more than 20 percent compared to 2017. According to Bosch’s estimate, the business unit´s sales will continue to grow twice as fast as the market, heading towards the target of one billion euros of sales in 2020, generated by assistance, powertrain, electrification, and connectivity systems. Major growth is forecasted in India where Bosch supplies market-specific motorcycle powertrain and safety solutions to comply with the ABS and Bharat Stage 6 emission regulation as well as local market trends. Bosch continues to invest in a constantly growing market. The global demand for two-wheelers is forecasted to grow annually by more than four percent from 2017 to 2022, reaching 122 million bikes by 2022 (source: Freedonia). In 2018, Bosch has set up a dedicated Two-Wheeler & Powersports team in ASEAN, one of the Top 3 motorcycle markets in the world besides China and India, to address the local market needs. “Bosch continues to invest in dedicated motorcycle and powersports technologies, aiming at becoming the market leader,” says Dr. Dirk Hoheisel, Executive Board Member at Robert Bosch GmbH. Bosch has made motorcycle riding safer with assistance systems such as ABS and MSC. According to Bosch accident research, around one-third of powered two-wheeler accidents with injuries could be avoided with MSC. Now Bosch goes one step further by building a virtual safety shield for motorcycles. A new safety package for motorcycles, comprising adaptive cruise control, forward collision warning, and blind-spot detection is being shown at EICMA to a wide audience for the first time. These electronic assistants are always vigilant and, in emergencies, they respond more quickly than people can. According to Bosch accident research estimates, these radar-based assistance systems could prevent one in seven motorcycle accidents. The technology underpinning these systems is a combination of radar sensor, brake system, engine management, and human machine interface. 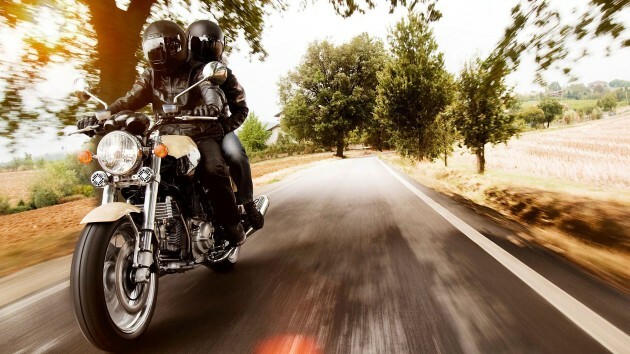 Giving motorcycles radar as a sensory organ enables these new motorcycle assistance and safety functions while providing an accurate picture of the vehicle’s surroundings. As a result, these assistance functions not only increase safety, they also enhance enjoyment and convenience by making life easier for riders. “The motorcycle of the future must be able to see and feel,” says Geoff Liersch, Head of the Bosch Two-Wheeler and Powersports business unit. Assistance systems alone are not enough to make roads safer. Bosch’s vision for the future is to prevent accidents happening in the first place. According to estimates by Bosch accident research, motorcycle-to-car communication could prevent nearly one-third of motorcycle accidents. Up to ten times a second, vehicles within a radius of several hundred meters exchange information about vehicle types, speed, position, and direction of travel. Long before drivers or their vehicles’ sensors catch sight of a motorcycle, this technology informs them that a motorcycle is approaching, allowing them to adopt a more defensive driving strategy. If a crash is unavoidable, the eCall system will trigger the rescue chain to support the rider as soon as possible. “We will continue to develop new technologies to make motorcycle riding safer without reducing enjoyment,” says Geoff Liersch, Head of Two-Wheeler & Powersports. Another major challenge for the motorcycle market is urbanization. Today, 55 percent of the world’s population lives in urban areas, a proportion that is expected to increase up to 70 percent by 2050 (source: UN). However, as populations grow, so too does the urban landscape with congested roads, higher noise levels, and poorer air quality. To cope with these challenges worldwide, Bosch offers electromobility solutions for nearly all vehicle segments – from eBike systems up to solutions for commercial vehicles. For the electrification of light vehicles on four, three, or two-wheels, for all performance classes between 0.25 and 20 kW, Bosch provides not only highly efficient mobility solutions for the urban environment but also a unique riding experience for the individual riders. As a part of Bosch’s integrated eScooter system, an app integrates vehicle information, connected functions, and social networking. Riders can easily manage trips with the app focusing on the riders’ needs for the specific situation. In addition, Bosch is not only electrifying personal vehicles, but also vehicles used in commercial applications. Electromobility is playing an increasingly important role in the fast and flexible delivery of goods within cities. The Bosch 48 V central drive system is also used to power the Ligier cargo three-wheeler, which delivery services use to carry letters and parcels the last mile to their destinations in urban areas. EXPERIENCE BOSCH AT THE EICMA 2018: Whether smart assistance systems, connectivity solutions, or new energy for the powertrain: Bosch has the right solutions for the motorcycles and powersport vehicles of the future. At the EICMA 2018, Bosch will be presenting its latest solutions in each of these three spheres at Booth G55 in Hall 13. 9:30 a.m. – 9:45 a.m. with Geoff Liersch, Head of the Bosch Two-Wheeler and Powersports business unit at the Bosch Booth G55 in Hall 13.